Conflict resolution entails a journey into the unknown. No matter how much we prepare, we can never know for sure how another will react to us or respond to our message. Not surprisingly, this uncertainty leads many to avoid conflict rather than venture into the unknown. Conversely, one of the hallmarks of those successful in dealing with conflict is the courage to begin. A lynchpin moment in one of my favourite movies, The Fellowship of the Ring, occurs at the Council of Elrond – a meeting convened to decide what to do with the “one ring to rule them all” and how to confront the growing threat to Middle Earth. 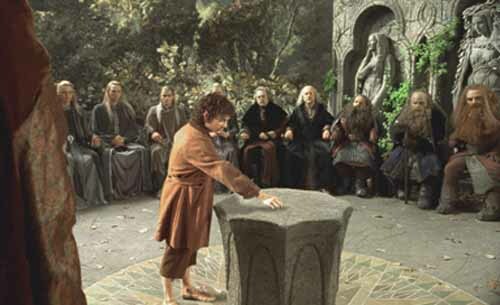 As various factions bicker, Frodo steps forward and declares “I will take the ring. 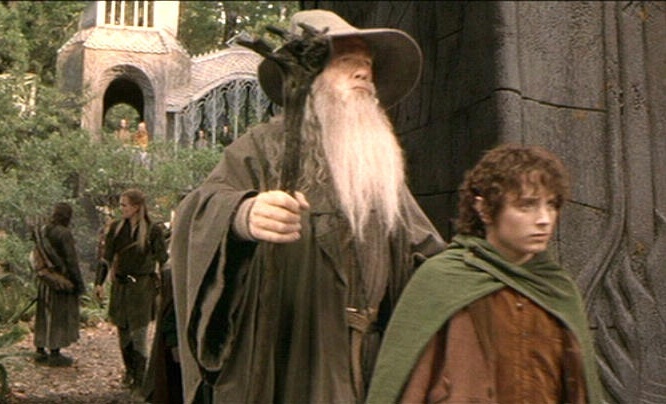 But I do not know the way.” Faced with this act of courage, the bickering factions pledge their support and unite around Frodo and his quest – the “Fellowship of the Ring” is formed. In his life-changing book, Warriors of the Heart, Danaan Parry calls on us to become “warriors” in the cause of positive change. In defining the term, he draws on varied cultural references. He refers to the Buddhist tradition of a warrior as “one who has the courage to know oneself” – including our “dragons” or dark side. Rather than slaying their dragons, warriors transform that energy into positive power. Danaan also cites a Tibetan definition of a warrior as “one who faces one’s own fear.” Tellingly, neither definition refers to other people or circumstances, but define the Warrior path as “inside your own being”. This is echoed in yet another culture: the Yaqui Indians of northern Mexico, whose concept of a Warrior was one “who brings newness into the world” – one willing to venture into the unknown and bring their vision back to the tribe. Danaan also states that a Warrior is one “who has and needs no place to stand, no position to cling to”. This is exactly the opposite to the role of Hero on the drama triangle of conflict (along with the Victim and Villain). The Hero is fueled by a sense of righteousness – a belief that they have staked out the moral high ground and that their behaviour, however injurious to others, is therefore justified. The definitions of a “Warrior of the Heart” provide an alternative approach for those any who would engage in collaborative conflict resolution. I was reminded of the way of the Warrior recently when I received an e-mail from a student who had attended one of my workshops. During the workshop, she used a personal conflict with a (former) friend as a case study during which we practiced “observation without judgement” and explored the motivations of the “villain” in our story. While the student didn’t agree with her friend’s actions, she was able to understand what motivated the behaviour and to depersonalize the conflict. Following the class, she contacted her former friend (with whom she had not spoken for a year), listened with curiosity to her friend’s needs and was eventually able to resolve the long-standing issue and resume the friendship. I was gratified and impressed on several levels, not the least of which was the courage the student demonstrated in contacting her friend with an attitude of curiosity. She needed “no position to cling to” (i.e. no need to be right). As a result, she opened herself to another perspective and uncovered a new path on which to move forward in the relationship. She was truly a “Warrior of the Heart” in that moment. So when confronted with conflict, demonstrate the Hero’s courage, but let it be the courage to remain open to the newness, understanding and growth that the conflict may provide. Draw inspiration from Frodo and engage the conflict, even if you do not “know the way”. Gary Harper is the principal of Harper and Associates. He is a trainer, writer and facilitator who specializes in conflict resolution. Through his unique blend of experience as a personal injury lawyer, general manager, insurance regulator and retail store owner, he learned the value of clear communication and conflict resolution skills. Since 1991 he has trained and mediated in a wide variety of organizations - from health care to the film industry to many levels of government. He is a member of the instructional team of the Centre for Conflict Resolution at the Justice Institute of B. C. and recently authored The Joy of Conflict Resolution: Transforming Victims, Villains and Heroes in the Workplace and at Home. This entry was posted in conflict resolution and tagged conflict resolution, courage in conflict, Danaan Parry, Fellowship of the Ring, Warrior of the Heart. Bookmark the permalink. 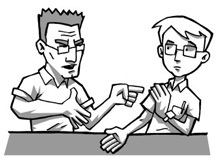 This is really interesting blog post and view on conflict, I have never really thought as the first step to solving a problem is that to be courageous and as you say ‘engage the conflict’. I feel as though this is something I will remember and take into the rest of my studies at university and into work.